Junior Chandler Parsons scored 17 points, sophomore Erving Walker added 14 and Florida beat Auburn 78-70 Thursday night despite not making a field goal in the final 8:24. Junior Alex Tyus chipped in 12 points and seven rebounds for the Gators, who snapped a two-game losing streak and improved their chances of making the NCAA tournament. Florida (18-8, 7-4 Southeastern Conference) could gain more control of its postseason hopes with wins at Mississippi on Saturday and against No. 20 Tennessee next week. DeWayne Reed led the Tigers (12-14, 3-8) with 22 points before fouling out with 19.2 seconds remaining. Tay Waller added 13 for Auburn, which missed 22 of 29 shots from 3-point range and fell to 1-5 against the league's Eastern Division. Florida scored its final 15 points from the free throw line, going 15-for-20 over the last 8:24 in the second half. 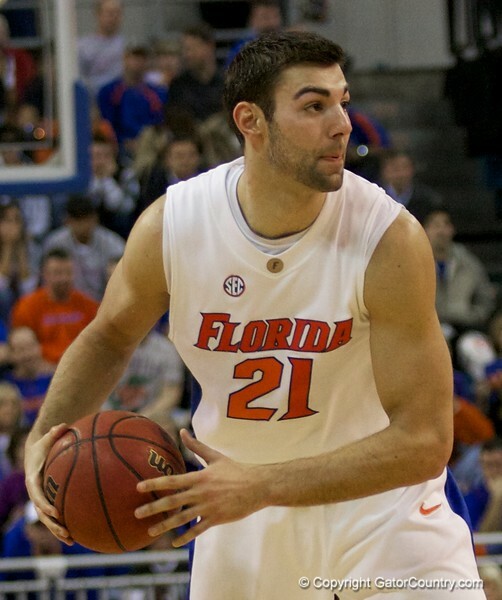 The Gators made a season-high 32 free throws and shot 80 percent (32-for-40) from the free throw line for the game. Walker, who did not make a field goal, finished 14-of-16 from the charity stripe, which tied the school record for most points without a field goal. Taurean Green set the record Nov. 25, 2006 against Florida State by going 14-for-15 from the free throw line.